I love participating in cookie swaps during the holiday season. 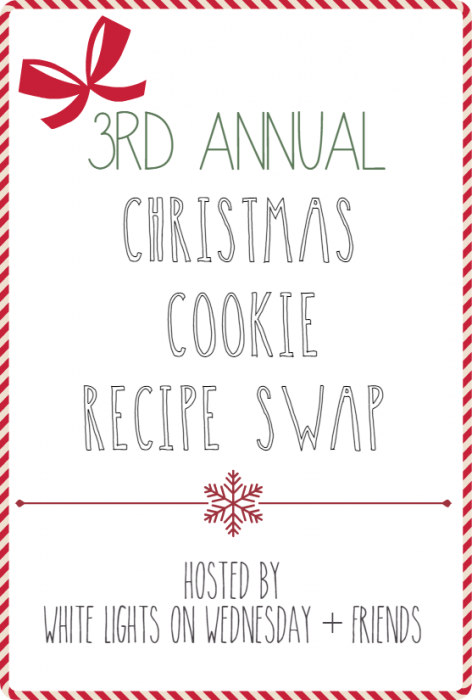 Usually we bake several dozens of cookies for swaps, gifts etc. The great thing about cookies is that they last! 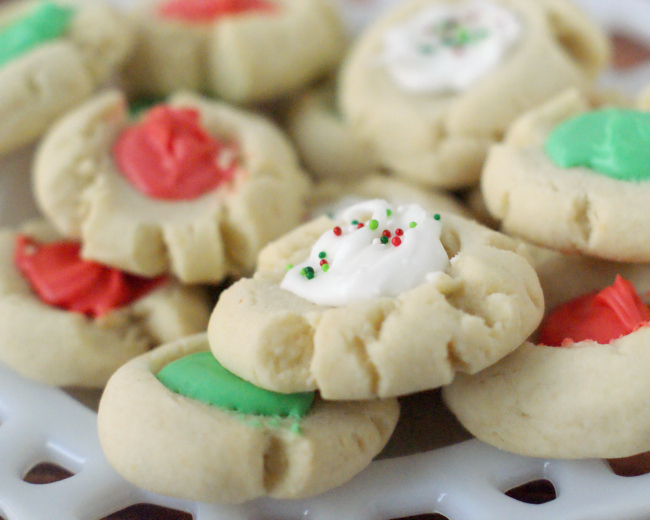 You can store them in air tight containers for a bit after the holidays or you can usually freeze them! For this post I am participating in an online blogger swap hosted by Julie from http://www.whitelightsonwednesday.com/! 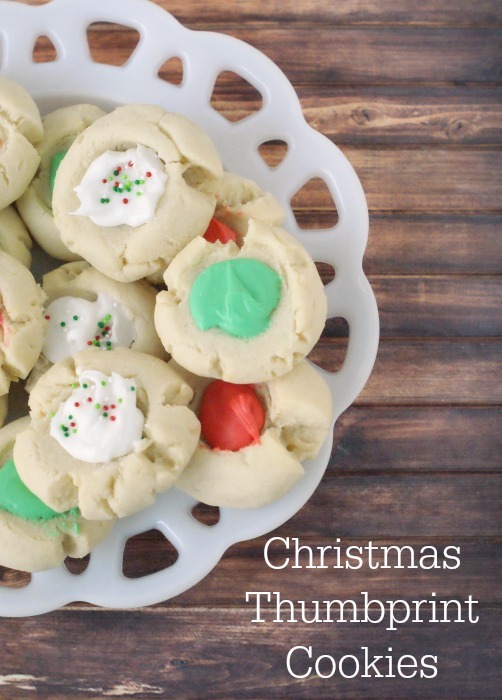 I swapped recipes with Teri from http://thefreshmancook.blogspot.com/ who shared this cute Thumbprint cookie recipe with me! 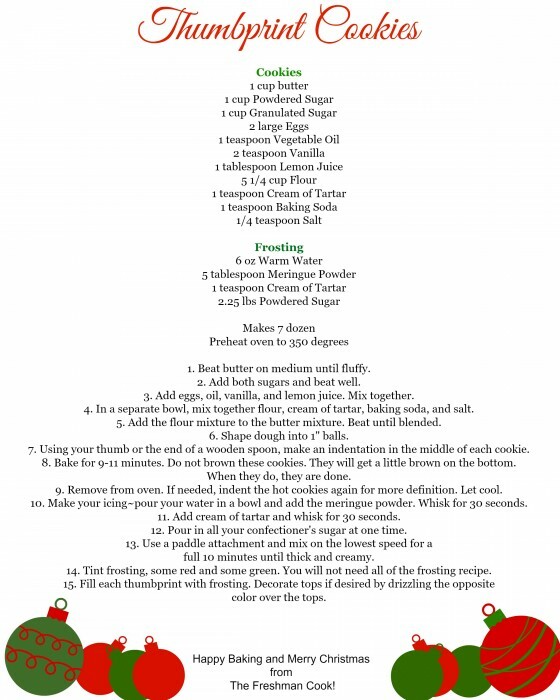 Be sure to check out her blog today to see the recipe I shared with her! 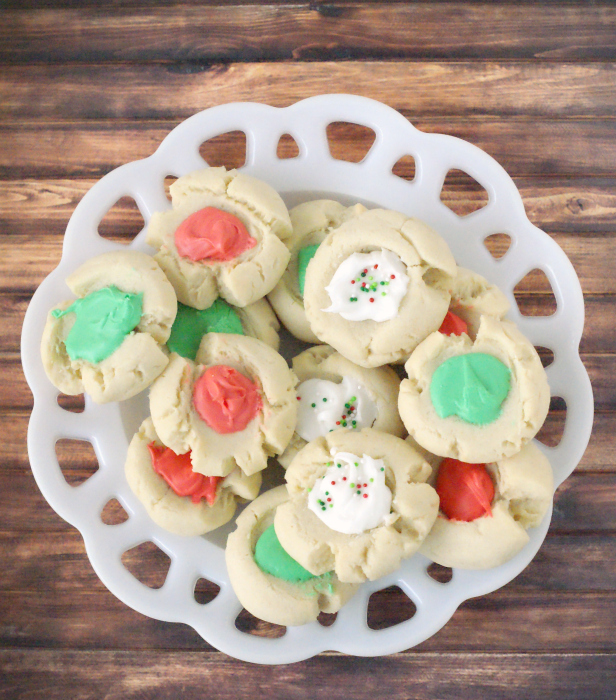 I’ve made thumbprint cookies before but this recipe right here is addicting. Honestly I don’t even know how many I ate so far. The frosting on this may be my new favorite Royal Icing recipe!